Much like every state in Australia, New South Wales has its own established laws regarding boat licences. Residents have a total of two options: they can get either a Personal Watercraft (PWC) Driving Licence or a General Boat Driving Licence. 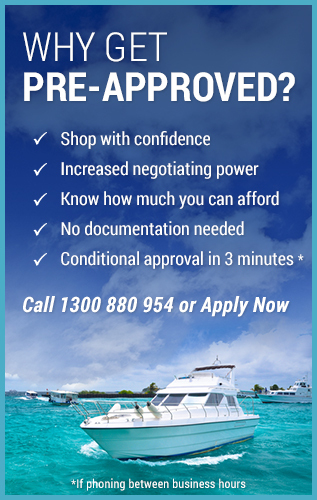 When Should I Get a Boat Licence in New South Wales? What determines if you should acquire a boat licence is the speed at which you drive your boat. A General Boat Licence is given to drivers with a power-driven boat on NSW waterways for recreation at the speed of 10 knots (18.5 km/h) and above. On the other hand, driving a Personal Watercraft requires you to get a PWC Driving Licence. What does each type of Driving Licence permit? It permits a person 12 years old and above to operate a Personal Watercraft. It allows that person to drive any enclosed water vessel that can be operated while sitting, standing, lying down or kneeling. The license also permits the holder to drive a jet-powered surfboard. Having a PWC driving license also gives you a General Boat Driving License. This licence permits anyone over 12 years old to operate a vessel at 10 knots or more, excluding a Personal Watercraft. If the holder wishes to drive a PWC, it can be upgraded to a PWC Driving Licence. How Can I Acquire a NSW General Boat Licence? A parent or legal guardian is required to accompany a young adult applicant. Acceptable proof of identity for the parent or guardian is also required. Validity period from 1,3,5 or 10 years are issued for both the General Boat and Personal Watercraft driving licences. Licences are normally issued in a paper form and in a plastic card afterwards.